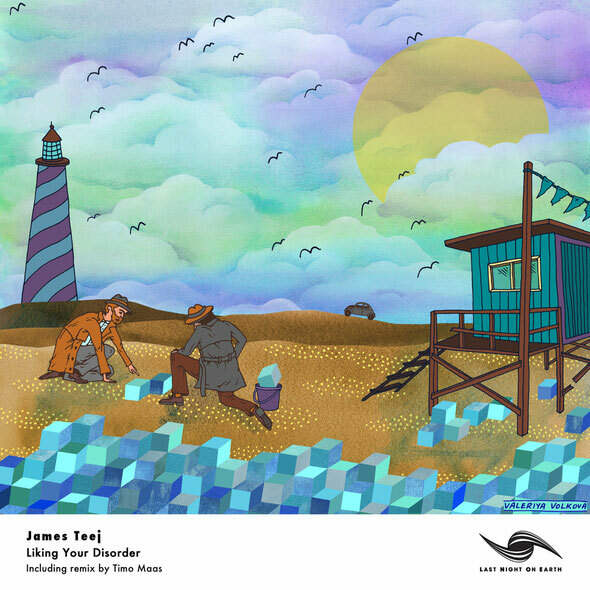 Just ahead of his second studio LP, ‘Eight Bit Ocean’, James Teej delivers the ‘Liking Your Disorder’ single, backed with a remix from Timo Maas, for Sasha’s Last Night on Earth imprint. Having first appeared on Last Night On Earth with the ‘Bring On The Night’ collaboration with Sasha, the prospect of a Teej LP on the label has been rumoured but before that, ‘Liking Your Disorder’ is here to whet the appetite. Fuelled by a 909 flavoured beat that is worked to the maximum without ever overreaching itself, ‘Liking Your Disorder’ throws an elastic synth riff around its concise six-minute length with confidence. Never one to shy away from layering melodies Teej playfully toys with secondary keys that range from the rhythmic to long held notes which result in an ever changing, densely emotive dancefloor cut. Timo Maas’ version is very much a remix in the old school sense of the term – using the majority of Teej’s sounds and providing a new slant on them in a subtle and measured manner, it’s slow burning, increasingly rhythmic, with just the right amount of peaks and troughs. It’s out now.